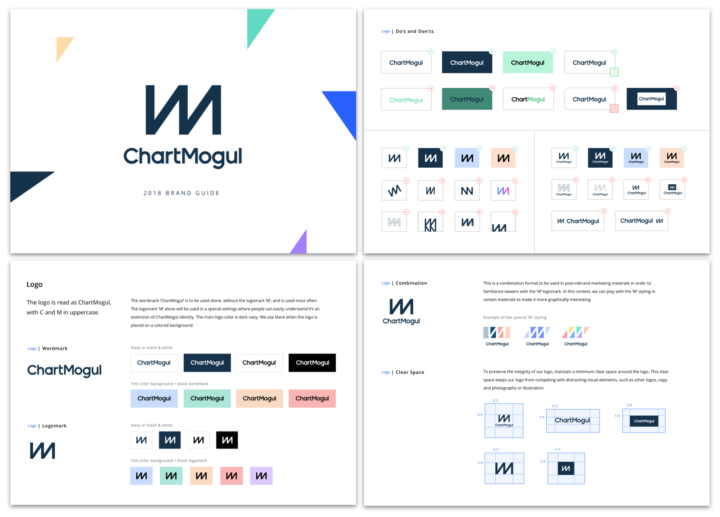 Today we’re unveiling a new look for ChartMogul, and the first steps toward our future. 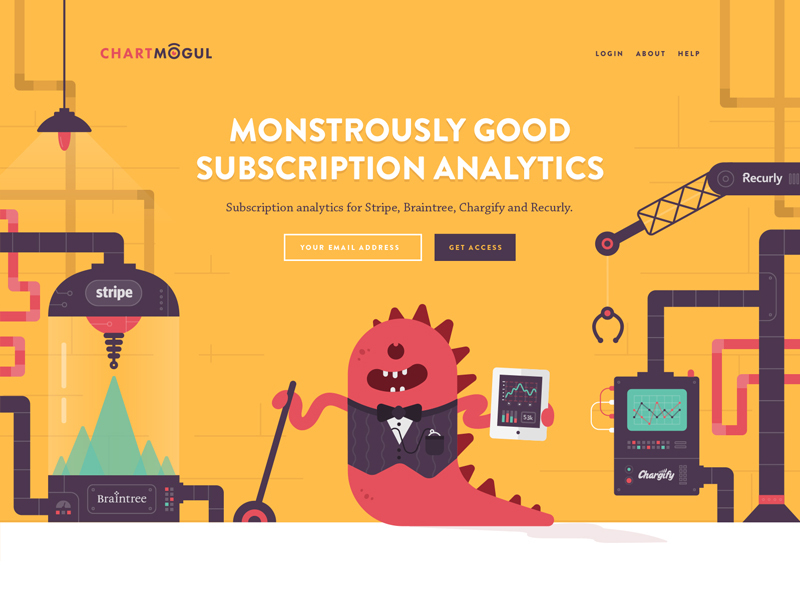 We launched ChartMogul in 2014 to help our customers answer a simple question: How do I track and grow my subscription business? We started out with a super playful design and familiar brand voice. Early customers might remember the little monster that hung out next to our free trial button — that eye was actually the inspiration behind the stylized “O” in our logo! We’ve grown a lot since then. So have our customers, and so has the subscription industry at large. Three plus years and a thousand customers in, we’ve started to ask ourselves what we want the world to think about us, and how we think about the world. For SaaS, branding and positioning is more important than ever. In some cases, it can be the primary point of differentiation in a category. Your brand is a promise to your customers. We, too, want to forge an enduring brand. Not one that’s built on gimmicks or undercutting the competition. But instead, one that sets a strong promise: We’re here to help you understand your business, nurture your customer relationships, and figure out ways to be more successful. Customers store their most sensitive and important data with us. We want to continuously earn, and re-earn, that privilege. The first step in that journey is to present a visual identity that feels fresh and modern. We’ve come a long way from a site full of monsters, but reminders of that remain. Today we’re rolling out a new logo and brand mark. Our updated logo is refined without being stuffy. We want to be approachable, but also respect that our relationship with our customers isn’t just built on personal affinity, but utmost trust in how we help them process and act on their data. and invite you to experience a more modern ChartMogul. We’ve swapped out our brand mark with something that feels a bit more iconic. Expect to see this in use across our social properties, as well as on t-shirts and stickers. We’re also updating our website and brand guidelines to be something more befitting our new logo. Our new visual identity is bright and dynamic, without being loud or trendy. If you’re curious to see what our brand team cooked up, you can check out the full guidelines here. And please, check out the new website and let us know what you think! The future for ChartMogul is ambitious. Today we help small and midsize subscription companies manage and analyze their revenue and customer data. But why stop there? Why should we be limited? More importantly, why should the subscription economy be limited? We envision a world where every business — whether they sell to customers on an ad hoc basis or once a month — understands that building a long-term, high-value relationship with each and every customer should be their foremost goal. We’ll be there to help them understand how they can deliver ever-increasing value and grow those relationships. We have some big things in store, and you won’t want to miss out. Keep following us for updates over the coming months.